Credit : SPH, The Straits Times. Do you still remember the above posters put up in most government bodies? 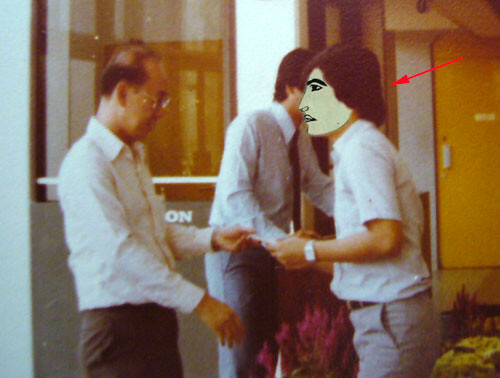 Of course not in the current era, it happened in the 60s/70s – in Singapore haha. 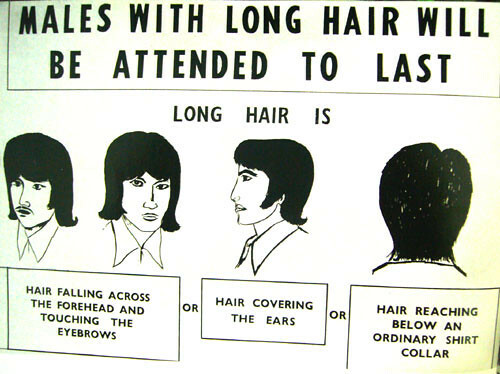 Long hair males were frowned upon in the past. You may laugh it off now, but in the past it’s no fun at all. 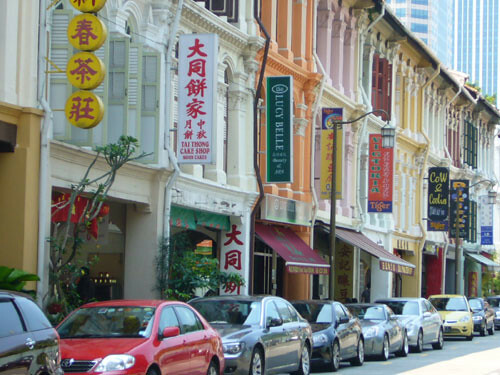 Male artistes with long hair were not allowed to appear on TV too; male with long hair will also be stopped at Woodlands immigration checkpoint and turned away until they had their hair cut. Think that was around 1972.
Credit : Ruth Bronsteen. The Hippy¹s Handbook. 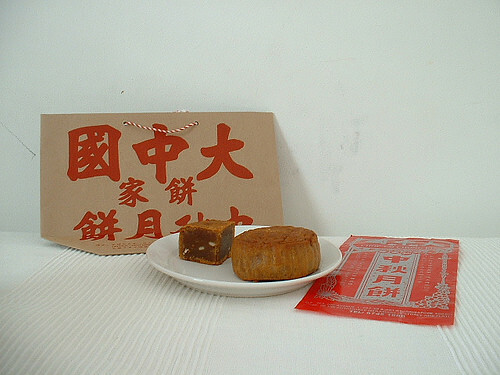 Of course, the Mid Autumn festival or whatever name you called it, is on the 15th of August under the Lunar month. Just like the past few years, the mooncakes are already for sale even before the start of Chinese 7th Month! Can’t blame them, selling mooncakes is getting more and more competitive. 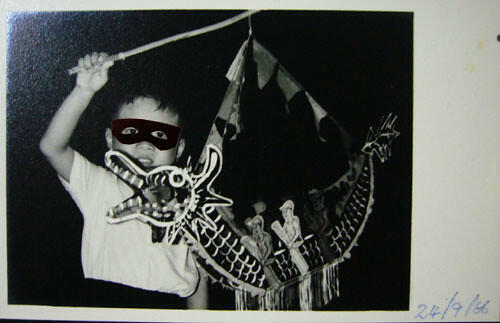 When I was just about 4 or 5 years old, I remember it was a time of reunion of family members. All would gather together in the evening and had our dinner. After dinner, the children will gather together in the open field or playground or backyard to play with their simple lanterns. The adults will prayed with their offerings and after that, we will feast on the mooncakes or other food. The above is me holding a simple lantern in Sep 1966, about 41 years ago. Life was simple but happy then. These plain little piglets were my favourites when I was a kid. They were usually given free when you purchased mooncakes from the stall. Now you need to buy or pay for them…and there are different designs and of course more expensive. 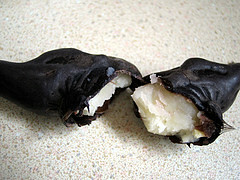 These are actually a type of water chestnut. 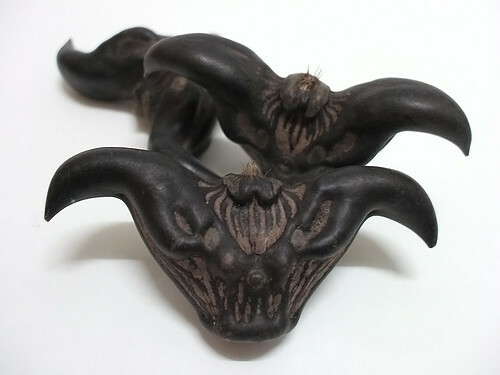 The look of these water caltrops may not attract the youngsters nowadays, and eating them also not easy. 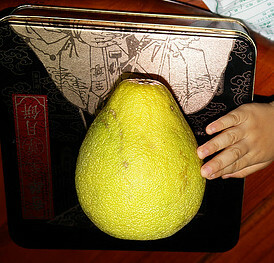 This is definitely a Multi-Use Pomelo. After eating the juicy fruit, the adults will usually dry the skin. The innovative one will used the skin to make into lanterns. Of course some preferred to wear the pomelo skin as a hat over their heads. Finally my favourites…mooncakes. 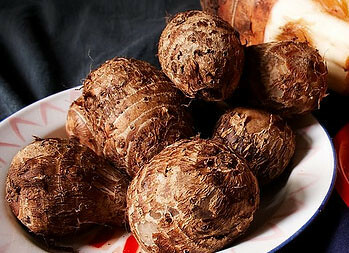 I still preferred the traditional types lotus seed with 2 salted eggs in it. The boxes used to contain the mooncakes then were very similar in design and not so beautiful compared to now. I remember in the 80s when I was still a regular in the Airforce, I did part-time marketing in mooncake (of course not allowed officially, but the enterprising me…). 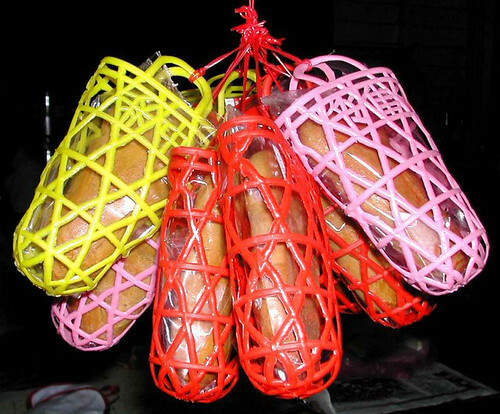 I checked the Yellow Pages for big corporations and I sent faxes to their personnel department to market Tai Thong (大 同) mooncakes. I went to Tai Thong at Gay World then (now at Mosque Street) and asked them for better discounts when I placed order from them. I even managed to get orders from staffs of Singapore Mint! Besides the above First Day Cover showing the National Library together with a few other landmarks of Singapore, I couldn’t find or remember seeing any stamps or covers on the old National Library alone. Wonder why? 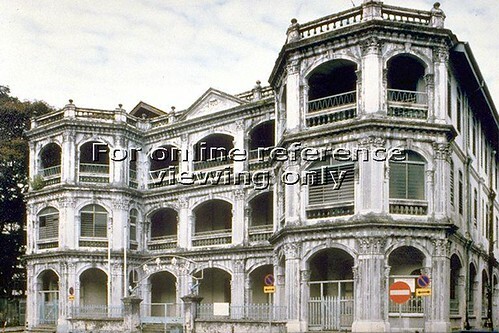 This 3 storey building at Stamford Road was just near to the old library. 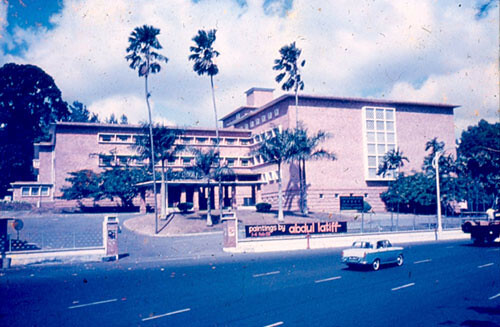 The old Corrupt Practices Investigation Bureau (CPIB) building was here from 1962 to 1984. 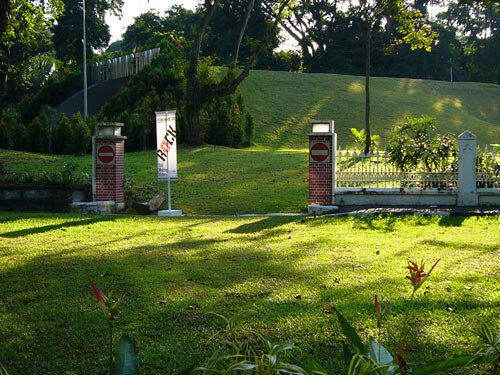 Photo Credit : National Archives of Singapore, PICAS. Below shows 2 photos taken in 2004. 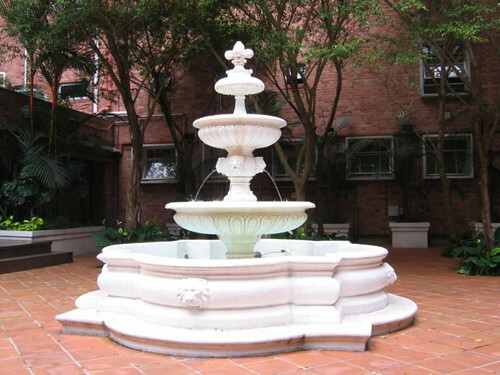 The most memorable fountain at the library. Wonder where it is now? 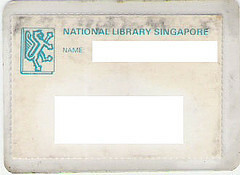 During the Raffles Library times : The Logo resembled the crest of the Colony of Singapore. The crest which looked like the British Royal Coat of Arms had mottoes that read “Dieu et mon droit” (French for ‘God and my right’). It neither represented the library’s function nor aspiration. In the 60s : The National Library carried its own logo. 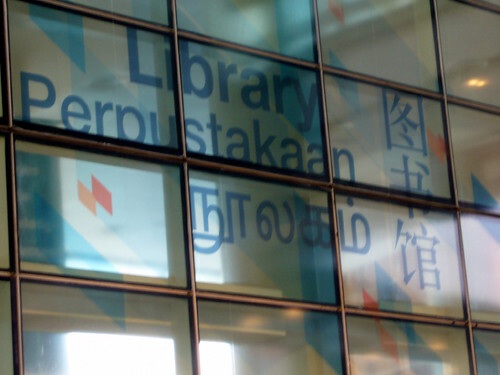 It is said that the logo was designed by one of the librarians. The logo composed of a book and a superimposed figure of a lion. 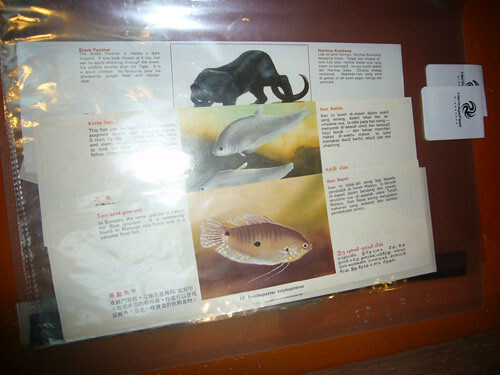 The book symbolised the collections, or books and reading, while the lion represented Singapore. This logo was seen on library cards and library books. Represents qualities of dynamism and the power of unlimited learning. It also reflects the qualities that promote reading, learning and a continual search for information. Traces the evolution from print to electronic media. It represents NLB’s focus in current technology and its commitment to be at the cutting edge of technological developments as well as the drive for improvement and expansion of its services. 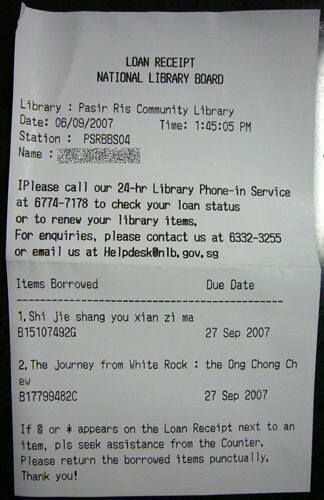 Depicts the library system’s three-tier concept: regional, community and neighbourhood libraries and the outreach programme to bring information to the doorstep of every household in Singapore. Built in 1960 and end in Mar 2004…lived a life of 44 years! 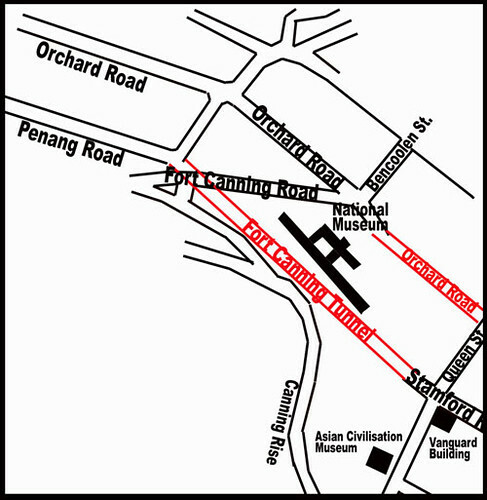 Significant changes are seen in these areas of the old National Library! 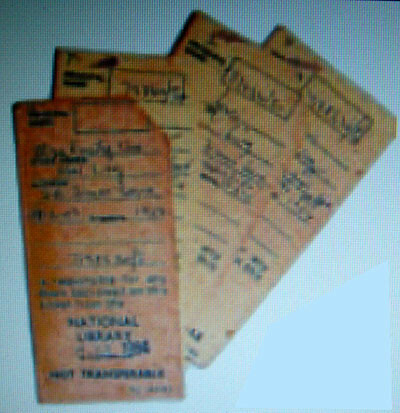 Check here for a more detail of the History of National Library. 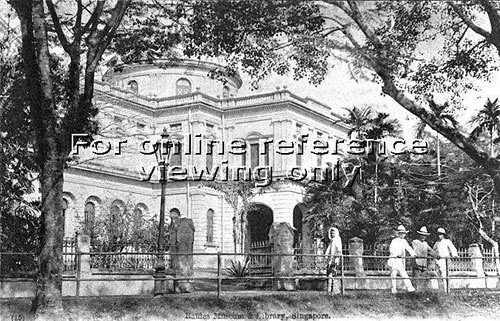 1874 : The British Colonial government took over the library and renamed it Raffles Library. 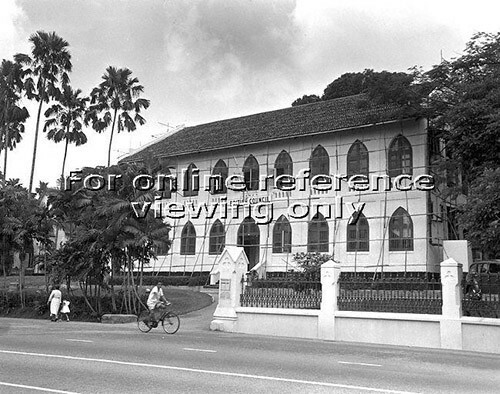 1876 : The Raffles Library again relocated back to Raffles Institution. 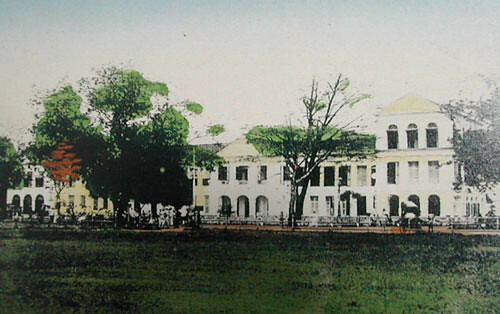 1887 : The Raffles Institution moved to the domed shape buidling (now National Museum) along Stamford Road. 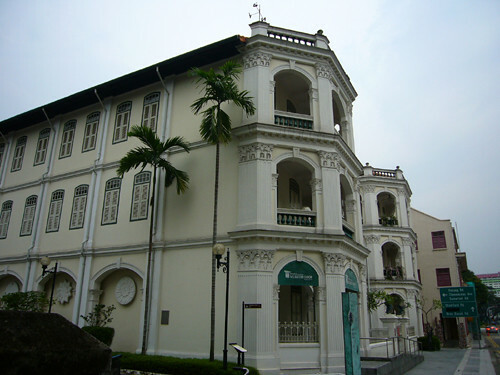 It was also known as the Raffles Library and Museum Building. 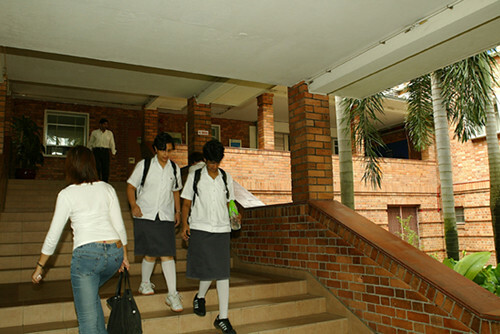 The library was located at the West Wing. 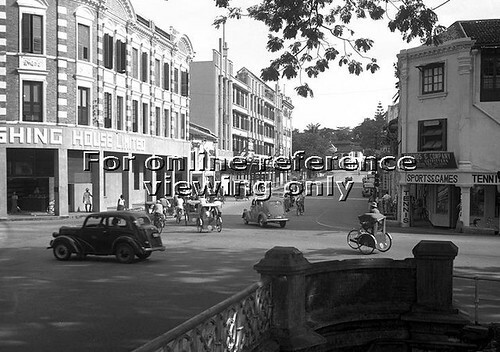 1942 – 1945 : During the Japanese Occupation, the library was renamed as Shonan Library. 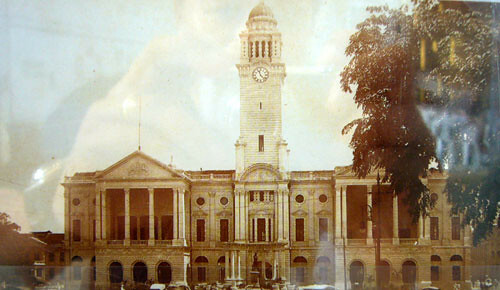 1945 – 1953 : After the Japanese surrendered, the BMA (British Military Administration) took over the running of the library. 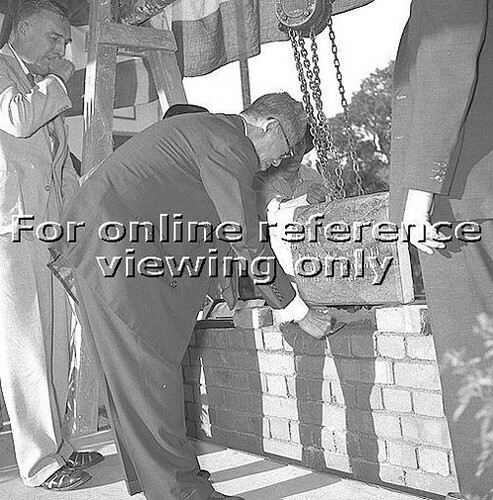 Below shows Dato Lee Kong Chian laying the foundation stone at the library in 1957. 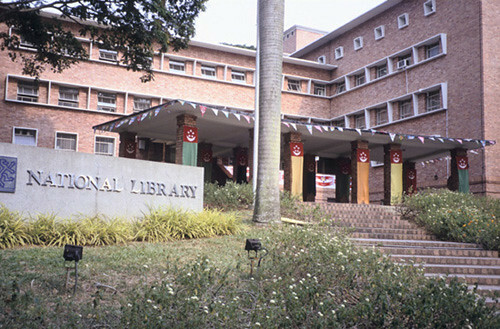 1958 – 1960 : The library then was a project of the then Labour Front and the National Library was officially established in 1958. 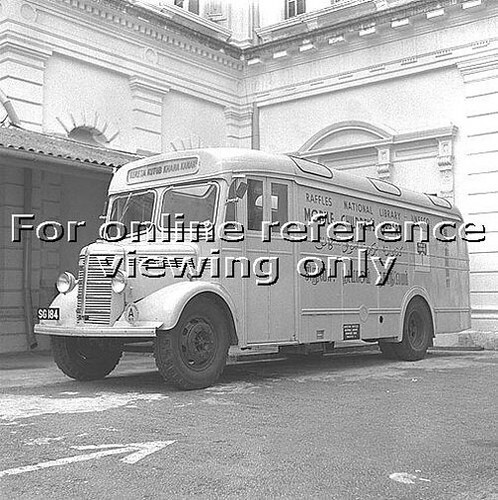 Below shows the Mobile Van of the then Raffles National Library. 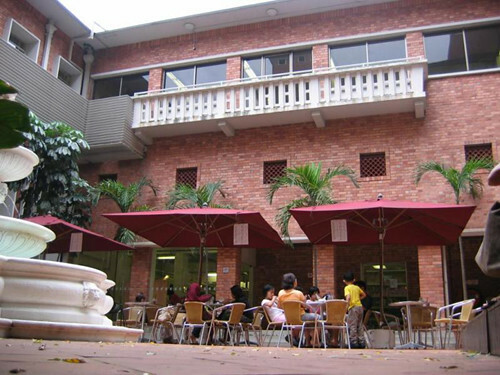 1960 : The Public Works Department (PWD) completed the red brick library in 1960 and it was opened by our late President Inche Yusof bin Ishak. 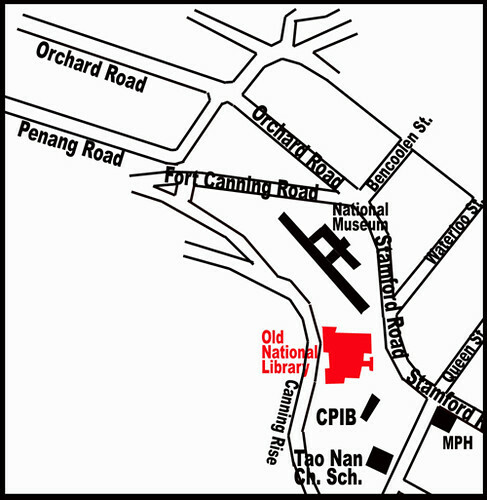 Finally the National Library was at this red brick building at Stamford Road and separate from the National Museum. 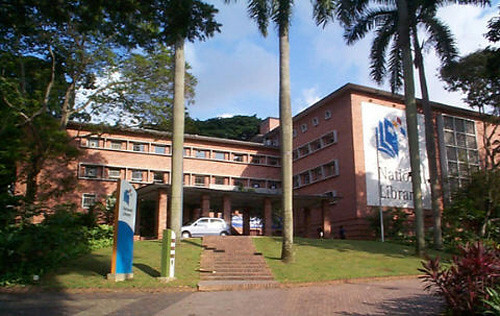 1995 : In 1995, the National Library Board was formed. 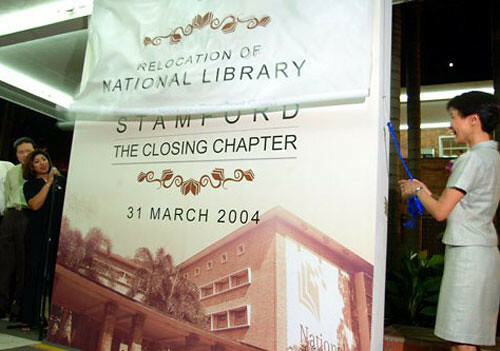 2004 : The old red brick National Library was officially closed on 31 March 2004. Photo Credit : National Library Board. 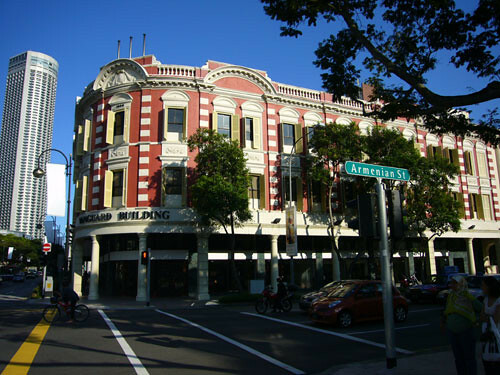 2005 : The National Library moved to its new premises at Victoria Street in 22 July 2005. 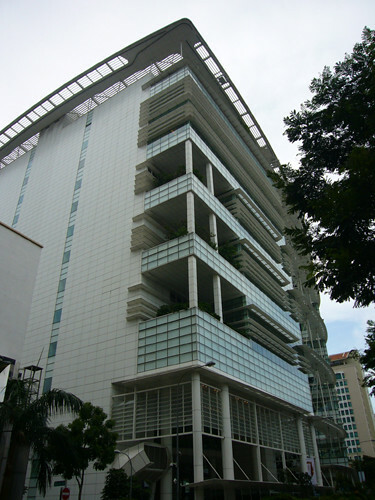 The library consists of two 16 storey blocks, with three basements. It has the glass building like in contrast to the old red brick look. 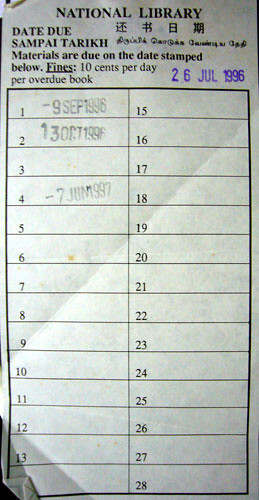 Or do you remember the Due Date slip pasted on the inside of the front cover of the books you borrowed? What’s so nostalgia about milk? 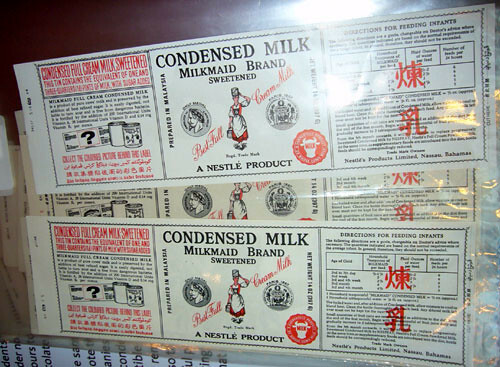 The packaging of the fresh milk has undergone changes from the past. 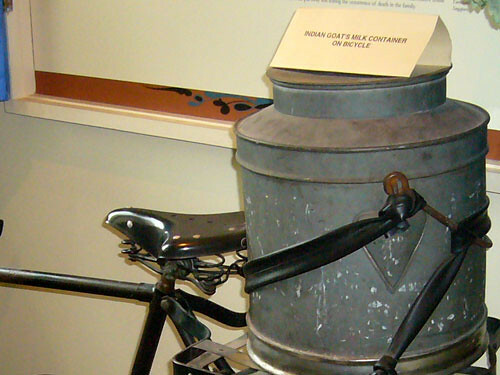 I remember it used to be triangular shape as shown above. The other popular brand then was “Daisy” right? Of cousre Magnolia or Daisy, they are both under F&N now if I’m not wrong. 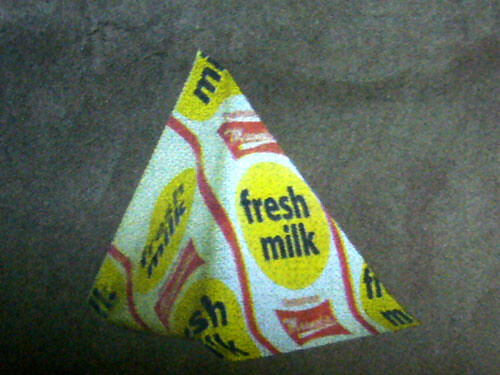 How many of us still remember that during the 70s, we used to “subscribe” for the packet of milk in school (during my Primary Sch days). 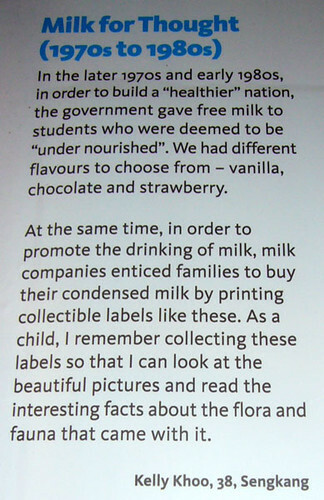 I don’t quite remember how was the packaging of the milk like for students in school then, do you? I’m not discriminating against him but I just cannot tolerate the smell of the goat’s milk probably from his “white” robe. 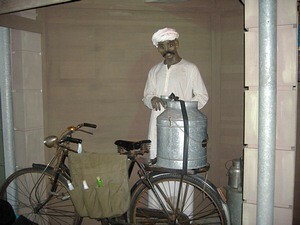 There was this Indian man delivering bottles of goat milk to an Indian family one floor below my house in Haig Road when I was still staying there in the 70s/80s. I tried not to get in the same lift as him but at times if I couldn’t, I would just hold my breath.